Can we expect students to know how to discuss topics with their teachers and each other on a daily basis? Of course we can! Students are respectful of each other, their teacher and of their learning. Students understand and appreciate the viewpoints of others. Students are able to appreciate what they are learning and why they are learning it (even if they do not want to readily admit it!). That sounds great, but how do we get there? First — we must provide students with daily and meaningful opportunities to talk with each other about what, how and why they are learning. Second — we must listen (not just hear) to what our students are saying – this is not a time to take a break! Repeating what students say in partners or groups validates this assertion: “I heard Jonathan say that he agreed with the side that showed how Julius Caesar was a tyrant. Did anyone else have a similar sentiment, or does anyone disagree and have an explanation as to why?” When you repeat what students have said, it shows students that you care about what they are saying, you are validating what they said and you are willing to hold them accountable for what was discussed. I like to write down the salient points that I hear while using Proximity Control throughout the room. Create a list of phrases you want to hear, and post them on your SmartBoard or your classroom wall. Post a list of Tier 2 or even Tier 3 words that you would anticipate students should be able to use and explain within their discussions. Use the “Paired Verbal Fluency” strategy. I recently had the chance to try this and loved it! You can use this to end a group activity, to summarize their learning, or to transition to another section in your lesson. Use the “Think Pair Share” strategy. From an equity standpoint, we as teachers should not assume that all students know how to appropriately talk to each other. There is never any harm in showing them the way for your classroom. For all of the aforementioned strategies, you must plan to practice these with your students with specific directions, preferably with the use of Visual Instructional Plans (VIP). Let’s take a look at an example from the Social Studies Techbook section on Civil Rights and Civil Liberties and make some connections to current events. One way you can make student discourse have more of an impact is to make it relevant and allow for multiple points of view. Being in a social studies class, it is imperative that we bring in current events topics as history is happening all around us, all the time! This history may not be explicitly referenced in our curriculum binders or our out of date textbooks, but the “big picture” and enduring understandings are. In discussing the rights of citizens, there are topics abound. As of April of 2017, nine states permanently deny voting rights to anyone charged with a felony (watch this short Discovery Education video as an introduction). Use ProCon.org to provide background information. This is an incredibly useful resource for providing clear distinctions between the opposing sides on a variety of current issues. NPR, produced a short article on the experience of ex-felons and voting. KQED produced a Felon Disenfranchisement by State map that shows the extent to which each state has taken away felon’s right to vote. NPR produced another article that reflected the government’s evolving stance on ex-felon voting right restoration. This includes an audio segment that would be great for auditory learners! The Sentencing Project surfaces the total number of prisoners in the US compared to other countries, detailing gender and racial disparities, along with a state-by-state breakdown of prison populations. Before embarking on this, ensure your class is ready to begin delving into the racial disparities in our prisons today (have you created a positive classroom environment?). Finally, it may also be helpful for students to research who actually voted in the most recent election. To what extent should felon voting rights be restricted? Should anyone who lives in the US be allowed to vote? Should there be age limits to who can vote? Depending on your grade level, determine whether or not students will read/annotate both resources or will groups be assigned by the teacher. Provide a specific amount of time using a posted timer for students to read and annotate (this is a great guide for students that I found via Google!). Using one of the aforementioned strategies (like Think Pair Share or Paired Verbal Fluency), partner students or compose small groups by which students could discuss their opinions and unpack what they read and annotated. 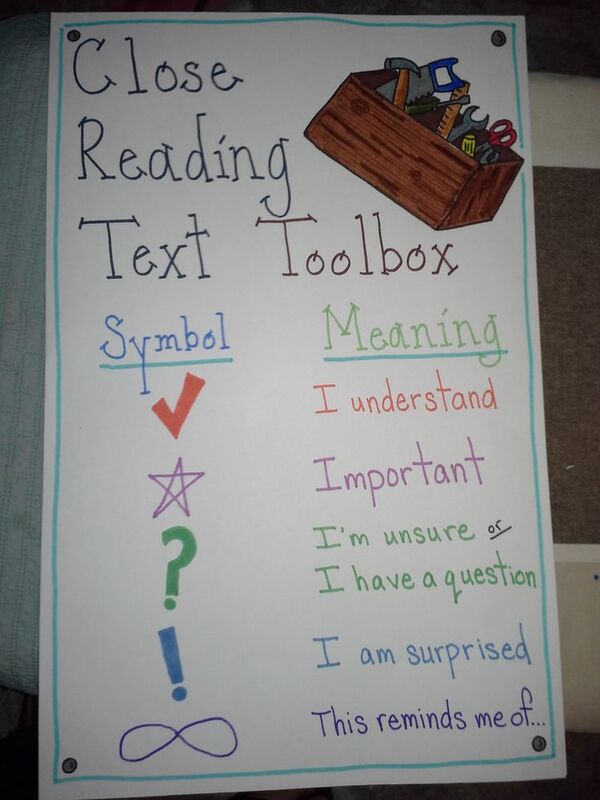 You could also split this up into two sections: spend a few minutes having students discuss overall understandings, then continuously become more focused and specific in your questioning: 1) Share two to three “take-aways” with your partner about what you read and be ready to share with the class. 2) With your partner, discuss the following question based on what you learned: To what extent should felon voting rights be restricted? Obviously, many of the questions and strategies presented above can and should be modified to best fit your students and their learning needs. The fact is, students must be provided opportunities to discuss what they learned and what their opinions are in order to have a well-rounded lesson. Listening to the “sage on the stage” that seems to encompass many pedagogical practices in our schools does not provide true engagement for our students. Beyond engagement, providing opportunities for students to have structured discourse promotes a positive classroom culture which is what I wrote about throughout my previous post! If we as teachers create an environment that is clear and structured for students on a regular basis, there is nothing stopping our students from having incredibly productive conversations that are conducive to student achievement. Nice article. In Vietnam, most students are afraid of teachers so they don’t dare to discuss a topic with their teachers. I was really excited reading this post! With the past year’s election, I know that I struggled with how to engage students in respectful discourse surrounding the topics and the candidates of the 2016 election. As I am looking ahead to the new school year this article is a great reference that I can utilize at the beginning of the year with my classes. As we progress through the year to the Civil Rights unit, this article will be one that I can utilize and pull strategies from in order to discuss some tough topics in the unit. The summative assessment piece is one that I would need to think on, but there are many strategies suggested that could be used as formative assessments as well.